Yamaha's Exclusive Tuning Method Ensures true pitch and full sound and the Rosewood Bars produce a high quality, traditional sound. The graduated tone bars are a professional feature that promotes full tone quality and projection. Newly designed resonators with denser alloys and thicker walls will maximize the tone and ensure rattle-free play. Pneumatic struts allow height adjustments to be made easily by one person. Hinged resonators and rails and a two-piece crossbar make tear down a simple task. Oversized, 4" casters allow for easy transport over rough surfaces. Cover and Mallets are included with this model. Resonators: Brushed tan finish, with special shapes, denser allow, and thicker walls. 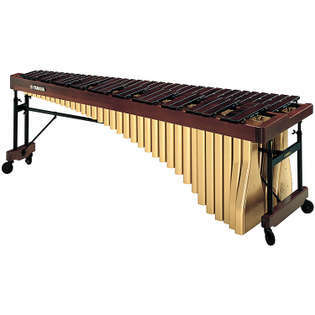 Height: Adjustable Height adjustable from 33-7/8" - 39-3/4"
When looking for a 5.0 Octave marimba I had a number of demands which needed to be met. First, the marimba had to be sturdy, one in which I could travel from gig to gig without worrying about its structural integrity. Second, the marimba needed thick bars which allow for its use in the private lesson scenario without fear. Third, it needed to be easily assembled/disassembled by one person. After consulting trusted colleagues and former teachers I opted to go with this Yamaha 5100 5.0 Octave Marimba from Steve Weiss Music. This marimba has so far fit every one of my needs. It arrived on time, brilliantly packaged and as advertised. After setting it up on my own, no need for another set of hands to help, I picked up my favorite pair of mallets thoroughly enjoyed the instrument. It handles hard articulate mallets beautifly as well as lush loosely wrapped soft mallets. The only reason I rated this instrument 4 out of 5 stars is because of the lack of full resonator tuning stops. While the instrument does include 5 tuning stops (F#22-A#26), it only includes these 5. I wish it included either the full keyboard or at least the full the bottom octave. In my opinion this is a strong workhorse marimba for daily use. I have played many brands and models over the years and while other companies offer upgrades or *premium* supplies, this instrument holds its own at this price point. 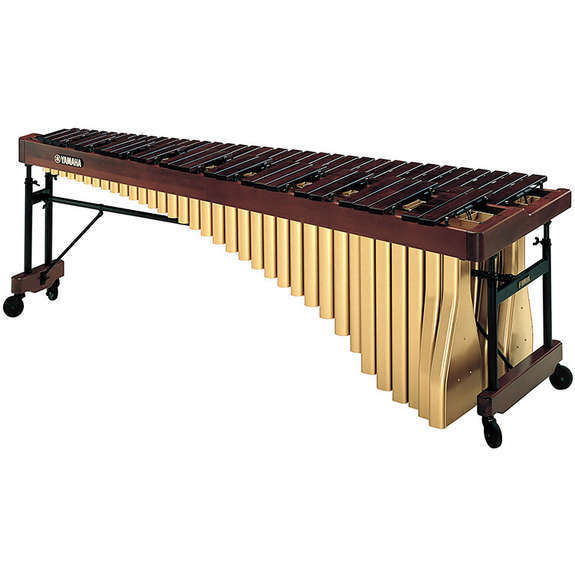 If you are looking for a keyboard which will receive daily use from a variety of individuals or in many different musical settings/styles this is the ideal marimba.